Come to the Festa Major de Gràcia! During the day there are basically family & children activities, tradition events like groups of giants and festival beasts or traditional passacaglia, correfocs (fire run), children’s workshops and popular lunches where neighbours take dinner in long tables in the street. 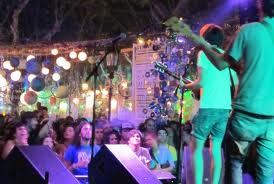 At night there are plenty of different music concerts for free in most of the squares of the area (Folk music, rumba catalana, rock, reggae, ..). At any time of the day, walk around the streets to enjoy the decorations, atmosphere and friendly people. Neighbours spend many hours all along the year to create the decoration of their street. 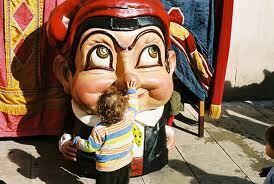 At the end of the festival there is a competition to designate the best street. 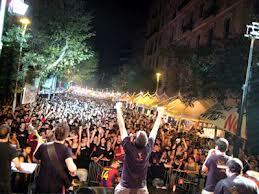 You will find all the events and activities listed in the Festa Major de Gràcia programme , check it out! If you like tradition then don’t miss the festival morning (Thursday 15 at 8.00) with the groups of giants and festival beasts, or the traditional passacaglia at 6 pm. 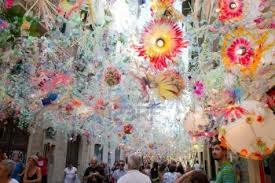 Saturday 17 will see the presentation of the prizes in the Street Decoration Competition and on Sunday 18 you can take part in the “giants’ walk” round Gràcia’s streets. 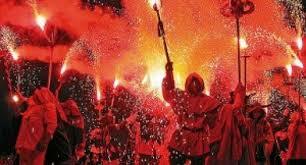 The correfoc, or fire run, comes round on Wednesday 21, at 9.30 pm, although earlier in the evening the children will have their own smaller one. Be careful, because it burns! And remember there will be traditional activities in all the streets and squares of the district, including dances, children’s workshops, competitions and street entertainment, along with botifarrades and xocolatades– Catalan sausage and chocolate fests. The pick of the music includes the concerts from Arrels de Gràcia, Els Catarres, L’Orfeó Gracienc, La Vella Dixieland, DJ Regge, Andreu Zaragoza Quartet, Rumb al bar, Miquel del Roig, La Banda Puig, Amadeu Casas Grup and The Rollovers i Biot. There will be sports and fun of all kind during Festa Major, ranging from the Bean and Sausage Throwing Championship to the Gymkhana for children, plus the 3×3 Basketball Tournament, the Vila de Gràcia Trophy, Chess and Table Tennis Tournament. Remember that on saturday morning, the Fun Bike Ride sets off from the junction of Passeig de Sant Joan with Travessera de Gràcia. If you want to know where you have to go, you need to be very clear about what you like. For example, in “folk square”, or Plaça del Folk (Plaça del Sol) you will find folk music, folk groups and a lot of Catalan rumba. Plaça del Swing (Plaça del Diamant), meanwhile, has a programme of swing music and family activities. Social values will be the protagonists in Plaça de la Revolució, a square for social organisations working in the area of people’s welfare. The Espai Joanic (Plaça Joanic) will hold the 5th Animal Festival, the Record Fair, dance performances and various family activities too. Tasta Gràcia, a reference point for Gràcia cooking in recent years, will occupy Plaça Manuel Torrente, while dance will go as usual to the performance arts centre La Caldera, where Barcelona residents can enjoy it for free. The elderly will have their space in Plaça del Poble Romaní and gender equality will be the focus of Plaça de Les Dones del 36. And if you like local wine, don’t miss the open-air Cinema Diví film and wine programme in Plaça del Nord, on the evening of the 18th, or the Wine Route from 16 to 21 August, which include open-air wine tasting sessions on every street. The Assemblea Nacional Catalana is organising several big events in Gràcia this year too, such as lighting anestelada (Catalan independence flag) made from candles on Pi i Maragall, on the night of Sunday, and a human chain round the district’s squares on Tuesday, starting at 7 pm. 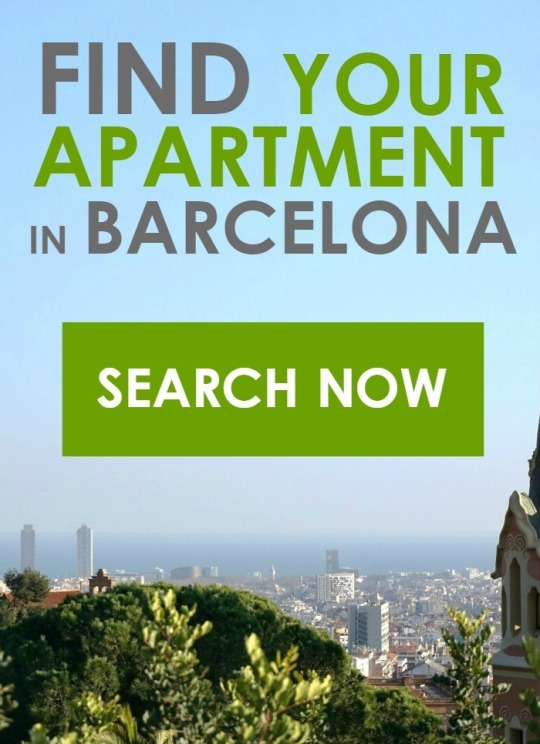 This entry was posted in City guide, Concerts, Live music, Local festivities, Nightlife, What to do, With kids and tagged Barcelona festival, Festa Major Gracia, fiestas gracia, Gracia, Gracia Festival, Gracia festival programme, programa fiestas gracia on August 14, 2013 by ApartEasy.